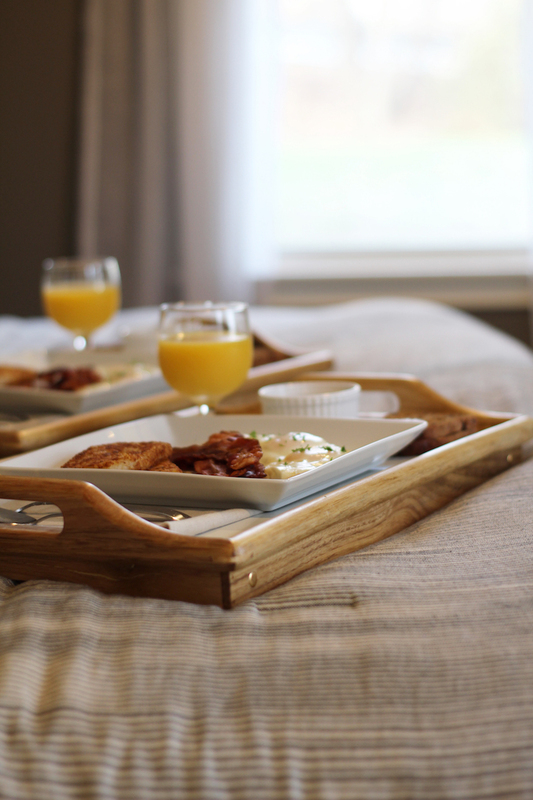 There is something so heartwarming about having breakfast in bed. 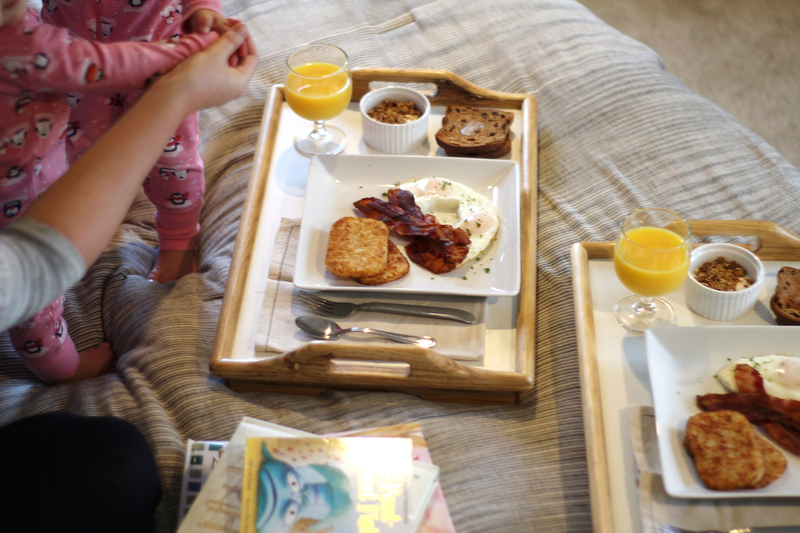 Before kids, breakfast in bed was a nice treat because it meant I got to lounge in bed a little longer and eat my favorite meal of the day next to my favorite guy in the world. 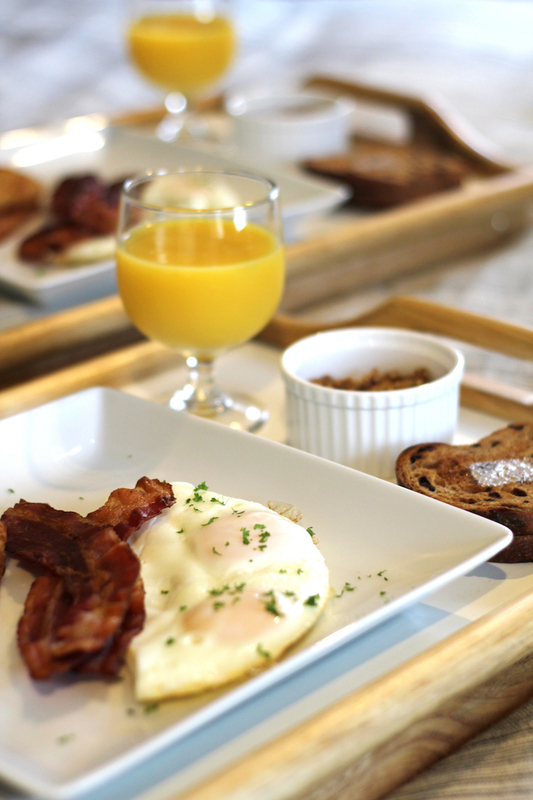 But now, breakfast in bed is rare and looks a heck of a lot different. With an energy filled toddler and a nursing baby, it isn’t often that we get to just lay in bed. So, we try to make it look different now. 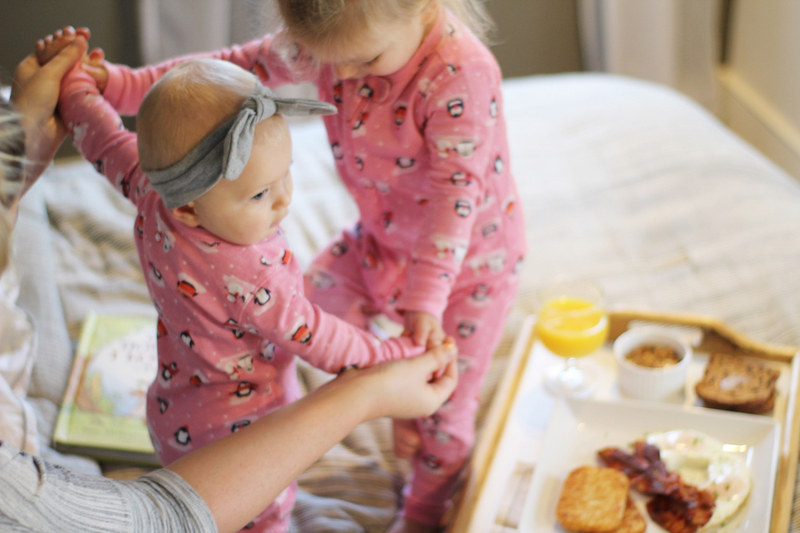 We get up with the girls, enjoy making a meal together, and then get back into bed and snuggle next to a feast of our favorite breakfast treats (that aren’t too messy). Lately our toddler has been really enjoying sleeping with us in our bed, and we are convinced it is because she loves our memory foam Tomorrow Sleep mattress. This never used to be a thing we dealt with with her! Maybe after snuggling in our hybrid bed, it is hard to go back to her little toddler bed? Do they make memory foam beds for little girls? Here’s a question for you – do you let your kids sleep in bed with you? If yes, how long do you let it go on? And if no, what are your reasons? I am curious because we are torn! These two sisters dancing to their current favorite song, “Candy Cane Lane” from Sia’s Christmas album, is just enough to make my heart burst.